"Many smaller steps forward, a couple bigger steps back, and just a few concepts that have overstayed their welcome." Pokemon is fun. That's the basic summary of the series, I suppose. For all its up and downs, its strengths and weaknesses, it is essentially a fun game for all kinds of players. The real issue series veterans like me have is, is it worth dropping money on? Is it worth $40 I could be using to keep the lights on or eat something other than uncooked ramen marinated in my tears every night? I'll approach this review partly from both angles, but mostly as a Pokemon veteran analyzing how it differs from prior games and if it's truly worth the investment. But first, a disclaimer. While I've always regarded Pokemon as good fun, I became somewhat disillusioned with it after Gen IV (Diamond, Pearl, Platinum, etc.) due to a perceived lack of change and improvement. Why spend money on more games when they're not so different from the rest, right? (I know, I'll be "that guy" in this review, but bear with me.) Therefore, I skipped Gens V (Black and White) and VI (X and Y), enticed back only by the promise of something brand new for Gen VII. I have cursory knowledge of the stories and game mechanics of the two generations I missed, but I'm not intimately familiar with them, so some of what I say will probably come across as ignorant. Pokemon is part bright and cheery turn-based-battle JRPG, part collectathon, in that you are a kid whose mother trusts too much and lets run around alone in a region populated with absurdly deadly creatures called Pokemon. You can catch these Pokemon, usually in the wild, and use them to battle other Pokemon Trainers to grow your critters, improving their stats and teaching them new moves. With the power of strategy (and a healthy dose of friendship, 'cause why not), you will rise to the top, conquer the region's trials and challenges, and become the fabled "Champion." Where previous games took place on landmasses inspired by Japan, New York City, and Paris, Sun and Moon take place in the Alola Islands, inspired by Hawaii. What's the story this time? "I'VE NEVER PLAYED POKEMON BEFORE! SHOULD I GET THIS GAME?" Sure. If you're into JRPGs, you like collecting things, yet you're tired of Shin Megami Tensei kicking you while you're down, Pokemon is a great outlet. It's a deep game with some good replay value and not too much challenge to keep you down long. It's the most streamlined Pokemon game I've played; much of the filler and junk that's plagued the series for so long has been stripped down, leaving a (usually) much faster-paced, better-playing adventure. If you're going to start Pokemon anywhere, try Sun or Moon. "GET ON WITH IT, YOU TWIT, I'VE GOT EFFORT VALUES TO GRIND. WHAT'S NEW THIS TIME?" - There's a bigger focus on story and characters this time around. Pokemon has sloooowly been getting better in that regard, and I hear Black/White had a pretty well-rounded plot, but again, I skipped Gens V and VI, so I can't comment much on them. To be clear, Sun/Moon still doesn't have a stellar plot. The storyline is simple, subplots go nowhere, certain characters are underdeveloped, and interesting concepts are never properly explored. As fascinating as they are, Ultra Beasts and their extradimensional origins feel less like an exciting new part of Pokemon lore and more like the Distortion World from Platinum - a cheap story gimmick that the next gen will probably drop by the curb and forget about. All that being said, this was the very first Pokemon game that actually made me CARE about the characters. I wasn't on the edge of my seat, but I at least cared about what the Aether Foundation was up to. My eyes remained dry, but I cared about my ever-smiling friend Hau and the shy-but-budding Lillie as they journeyed with me. Pokemon's storytelling isn't yet where it needs to be, but it's been taking a lot of steps in the right direction, and that needs to be encouraged. - So much has been streamlined since Gen IV. This needs to be in bold: THEY REMOVED HMs. No more carting around Bibarel (or his generational equivalent) and taking up valuable party member slots with Pokemon you'll never use, just because the game says you can't just tiptoe around that tree, you "must" cut it with an HM technique. The game flows so much better without the hindrance of HMs, and it's practically this change alone that makes me hesitant to go back to any previous Pokemon game after this. I know they introduced this in earlier games, but I have to say the revised Exp. Share also helps the pace dramatically, reducing the time spent grinding and allowing battles to rest on the Pokemon you think will work best, not on who needs to sneak in a KO for EXP. Text in general has been cut down to not waste so much of your time; to surf (when the ability is unlocked), you walk to the water's edge, press A, say yes, and boom, you're surfing. No need to jam A through a bunch of text boxes and a cheap animation to get from A to B. It's hard to put into words, but the pacing has been vastly improved in Sun/Moon, and there are tons of streamlined changes the games have added that I can't list here because you'll have clicked away in boredom by then. - PEOPLE ACTUALLY RECOGNIZE YOU AS THE CHAMPION AFTER YOU BEAT THE MAIN STORYLINE. The title of Champion actually feels like it has some weight in Sun/Moon. Where previous games just sort of pretended you DIDN'T defeat the most powerful Trainer in the region, which came off as cheap and insulting, Sun/Moon actually have people call you Champ after finishing the initial storyline. It's refreshing. I love it. It doesn't change gameplay much, but it's a step in the right direction. - They're not totally game-changing, but I liked the addition of Totem Pokemon, and to an extent, Ultra Beasts - essentially, bosses in Pokemon form, not Trainers. Depending on your team, they may not always be the most challenging, but they certainly can be, and more than one had me backed into a corner and furiously strategizing for victory. With boosted stats and ally Pokemon occasionally swooping in to mess up your day, they often add a layer of thought and tactics that hasn't really been seen in previous games. It's different, and it's good. - Character customization is fun to play around with. I still think it needs to go much more in-depth with letting you change physical characteristics and not just hair and skin color, and the lack of clothing that isn't tropic-related is mildly off-putting, but as my first experience with a custom Pokemon avatar, I'm pleased. This is something that must continue and improve with each release. - Team Skull is my favorite villainous team now. They're not very challenging, intimidating, or impressive, but the game knows that, and deep down they know it, too. Game Freak finally got away from their villainous teams being a bunch of ragtag idiots with dumb hair and a paper-thin plot a 5-year-old could debunk. Now they're just shady thugs, but gosh darn it, they're lovable shady thugs. They're over-the-top, they're funny, and they actually spice up the story with their presence. They remind me of Team Rocket, but genuinely funny and original. - Quick note: the graphics are pretty nice, and being able to move freely in any direction has been a long time in coming. Nothing to lose one's mind over, but worth mentioning briefly. - Am I the only one who misses the 3D? I get that Sun and Moon are supposed to be gargantuan 3DS games (I had to buy the physical copy because the download size was so absurdly huge), but I think it's kind of a shame the 3DS's selling point - that being, you know, 3D - got completely nixed here. That might be something of a growing trend with 3DS games now, considering Hyrule Warriors Legends nixed 3D for its non-New-3DS versions, but time will tell. - New to the Pokemon series are S.O.S. battles, where wild Pokemon will occasionally call for backup, and if it comes, you get a 2-against-1 battle, and not in your favor. It's not a totally awful concept, but it overstays its welcome. For whatever inane reason, you can't catch a Pokemon if there are two standing against you, so you must drop one to catch the other, but sometimes they'll just immediately replace their fallen comrade with another dude, and the cycle of mind-numbing frustration continues. No joke, I spent about 20-30 turns trying to catch one Elekid because it just kept summoning allies to replace the one I'd just downed. Again, not an inherently awful idea, but poorly implemented. - Less than half of the current Pokemon are in Sun/Moon. There is an "Island Radar" feature that will let you catch a small fraction of the Pokemon not found on Alola, but that still leaves some 400-500 Pokemon unaccounted for. There's also not a National Dex yet for that reason; Game Freak promises one will be patched in January 2017, along with Pokemon Bank connectivity, and I'm sure Game Freak has their reasons, but to me, this just feels lazy. I have heard absolutely nothing on any plans to patch in the remaining Pokemon so we can catch them naturally, so I must assume for now they're just unobtainable if you don't have the previous games and use Poke Transfer. I missed the last two gens and was really, really looking forward to seeing all of the Pokemon I'd missed, but without spending money I could be using to keep the lights on and eat fresh food, that's still a fool's dream for me. As much fun as I had (and continue to have) playing Sun, I can't deny that the game feels a bit incomplete. It's a little reminiscent of the plot in Shadow of Mordor in that it just feels like there should have been so, so much more, but a lot of it was cut because the developers couldn't figure out how to fit it in. I don't like the thought that developers can just release an incomplete game and promise to make the rest later. That's a growing trend in video games these days, and it makes me nervous. - This has been a problem since the series' inception, but it's still true now, and going in blind as I was, it hit me hard this time: the game doesn't tell you nearly enough about how to catch or evolve certain Pokemon. It either expects you to get indescribably lucky and stumble upon the answer yourself, or look it up online, which is what I had to do all too often. 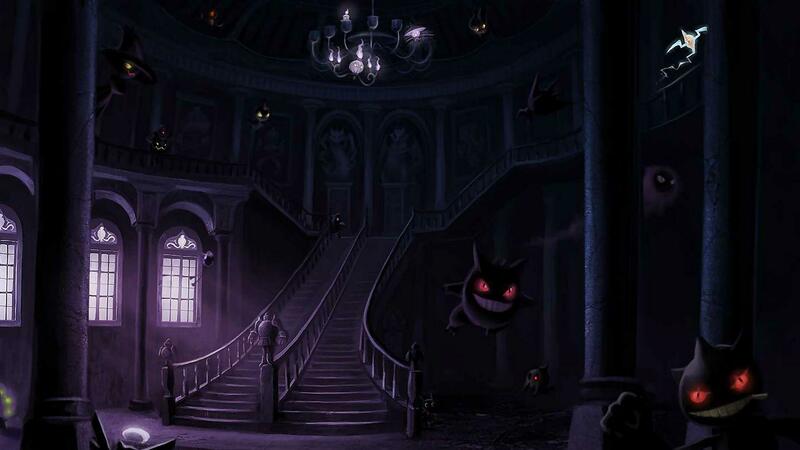 Many Pokemon only appear as rarely-summoned allies during an S.O.S. battle, something the game never once alludes to. You can stumble around forever in the Lush Jungle looking for Goomy, but guess what? It only appears as a rare S.O.S. ally summon while it's raining in-game (natural rain, not from Rain Dance or Drizzle). The Poke Dex tells you what areas you might find it in, but not the rest of it. Another example is Salandit's evolution to Salazzle. Only female Salandit will evolve at Level 33, and they're rare compared to their male counterparts. I would have raised my male Salandit forever wondering why it wouldn't evolve if I hadn't eventually broken down and looked it up online. The game just doesn't give you all this crucial information, and it's frustrating when the series' tagline is "Gotta catch 'em all!" (or was before they shrugged and said, "Eh, guess you can't anymore"). Some of you may be going, "Nyehh! Spoilers, man!" But honestly, this is stuff you should know. You'll thank me later. - Fishing was boring, repetitive, and archaic in previous games. Sun/Moon add "frustrating" to that list of adjectives. Ladies and gentlemen, they broke fishing. Not only must you stand in front of the water like a drooling idiot with a game mechanic that takes no skill or foresight, but all you'll be catching is Magikarp. No joke, they turned virtually every single Water-type Pokemon that isn't Magikarp into a rare Pokemon. Yeah, if you fish at bubbling spots instead of regular spots, your chances of a not-Magikarp go up slightly, but that shouldn't be necessary for a new Water Pokemon. We're on an island, for crying out loud! You're telling me water's hard to come by around here?! Here's some food for thought: Shellder, a Pokemon that was common in pretty much all previous gens and nobody uses (well, I don't) has the same base encounter rate as Dratini, the famously rare, powerful Dragon Pokemon: 1%. Here's some more food for thought: I spent more time and effort (about 10 minutes) trying to catch the rare Bagon than it took me to catch that Shellder (about 1 hour, using the bubbling spots). That is, in a word, bullcrap. Fishing is a boring, outdated mechanic anyway, but they officially broke it. Next gen, they need to either get rid of it altogether or make it more interactive and skill-based. Scoring Pokemon Sun is a bit hard for me. On one hand, I am so, so proud of how far it's come. A story I give a hoot about? Streamlined game mechanics? Pretty visuals? People recognizing me as Champ? Smoother, more strategic combat? This is the best Pokemon game I've ever played, so I want to give it a high score. On the other hand, it does take at least one massive step back (where are the other 400+ Pokemon?!) and doesn't go as far as it should have with some areas like story and relaying information, making it hard to recommend as a must-have. In the end, I had a lot of fun with it despite its imperfections, and I think you will, too. It's hard for me to rate Sun without feeling hypocritical somewhere. Part of me wants to rate it high for taking so many steps forward for the series, but the other part of me says, is it fair to praise it just for moving forward, even if it's still not where it should be? My personal score probably hovers around an 8.5/10. Rest assured, it is the best Pokemon game I've played and it's vastly improved in many ways over prior games; it just has a few gaping holes and a few more old restrictions that mean it may not live up to the hype for Poke veterans.